Every teacher of reading plays a vital role in helping to catch those readers for whom learning to read does not come easily. If you have ever been at a loss for what to say and do when confronted with a child who struggles--this book is for you. "Bringing a Vygotskian perspective to teaching and learning, Pat and Katie have done a wonderful job of meshing theory and practice to produce a book that is both important and practical. I warmly recommend it to all teachers of reading." Every teacher of reading plays a vital role in helping to catch those readers for whom learning to read does not come easily. Through examples from both adults and children, the authors explain and describe the complex integrated network of strategies that go on in the minds of proficient readers—strategies that struggling readers have to learn in order to construct their own reading processes. This book is essential reading for all who work with struggling readers in any context and contains a wealth of resources, including a thorough explanation of all the sources of information readers use to solve words, examples and scenarios of teacher/student interactions, prompts to use with struggling readers, lessons on modeling, and assessment guidelines. Please note that there is a free study guide for this book. The authors wrote some questions to guide discussion. 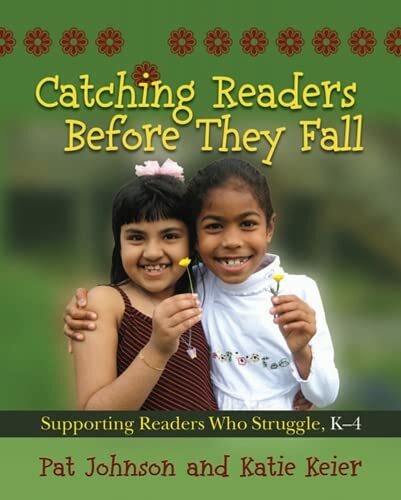 You might find them helpful if you are facilitating a Teachers-as-Readers book group on "Catching Readers Before They Fall". Just go to stenhouse.com to download the free study guide.Enjoy!